NEW DELHI: The government today made it clear that it cannot guarantee that surgical strikes won't happen in future as any such action will depend on the situation prevailing at that time. "Pakistan is our neighbouring country. If they correct themselves it will be good, but if some terror attack takes place, we cannot guarantee that there won't be a surgical strike in future. 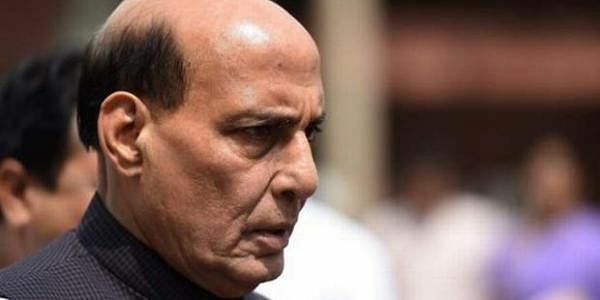 We don't want, but if situation demands, there is no second way," Union Home Minister Rajnath Singh said. He said Prime Minister Narendra Modi had taken this well thought-after decision in which all sat down together to explore the option. In an interview to CNN-News18, Singh said there was inputs that after carrying out terror strikes in Kashmir, terrorists return to the launching pads on the Line of Control. Our soldiers went across the Line of Control and hit those launching pads and cause significant damages, the Home Minister said. He also dismissed as "a mere eyewash" the house arrest of Lashkar-e-Taiba chief Hafiz Saeed, saying if Pakistan was serious about acting against Saeed and terrorists, it must take legal action against them. "Hafiz Saeed has been put under house arrest earlier also. After 26/11 he was put under house arrest. My input is, this is his second house arrest but I feel this is just an eye wash. If Pakistan is serious about acting against Saeed and terrorists, it must take legal action against them". He said there is FIR registered against him and Indian government has submitted dossiers against him. "He must be charge-sheeted and put behind bars. Our efforts are continuing. Action must happen against such terrorists. The PM has tried to bring together international community against terrorists," he said. Singh refused to comment on recent the US government's travel ban on the citizens of seven countries--Iran, Iraq, Libya, Somalia, Sudan, Syria and Yemen--for 90 days saying it was a decision of sovereign nation.